Feathers Crystal Fluted Door Knob (Oil Rubbed Bronze Finish) - the glass knobs measure 2 (50 mm) inches in diameter and it has a projection of 2 1/8 (54 mm) inches. Solid brass rosette plates screws directly into the door with three wood screws and measures 3 1/8 inches in diameter. 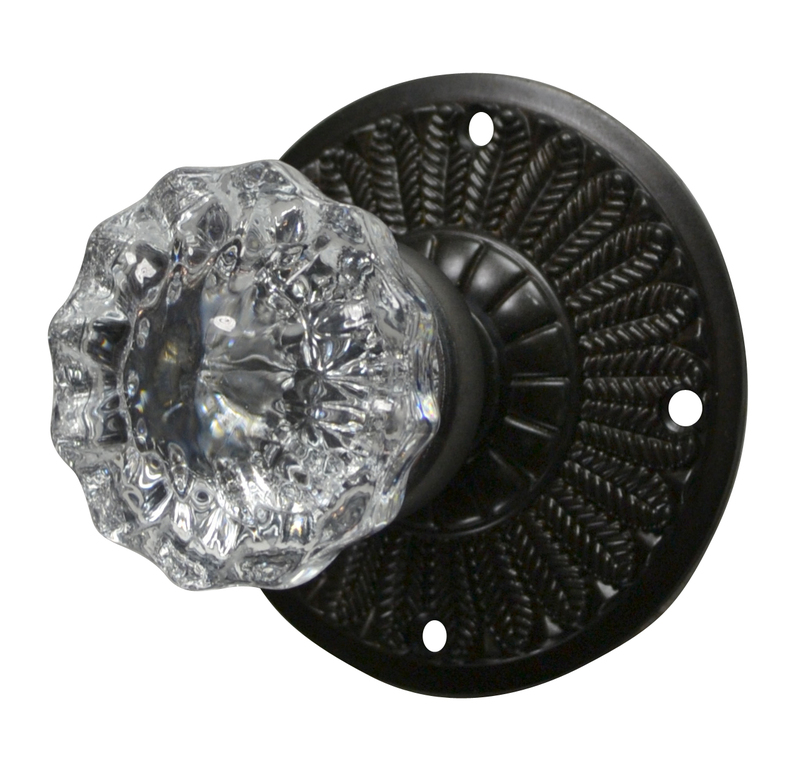 The dummy door knob is a fixed knob with double rosettes and is commonly used on French-style or bi-fold doors. Single sided and double sided dummy options can be used with or without a borehole, if no borehole is present countersinking may be required. This style is available as a single sided dummy knob (1 fixed knob), double sided dummy knob (2 fixed knobs), functional passage (non-locking) and functional privacy (locking) sets. Functional door knobs come with a standard 2 3/8 inch back set latch, or you can request a 2 3/4 inch back set at no extra charge.